AROOSTOOK COUNTY - Starting and growing a food co-op is a difficult process, but two groups in Aroostook County, on opposite ends of the region, are making it happen and Northern Maine Development Commission (NMDC) is using its resources to help. NMDC last week submitted a $100,000 grant proposal to the U.S. Department of Agriculture's Farmers' Market Promotion Program to strengthen local farm connections through local food co-ops in northern Maine. NMDC, in partnership with the County Co-op & Farm Store in Houlton and the Market Street Co-op in Fort Kent, proposes to encourage and promote direct marketing of agricultural commodities to local consumers. "Each of the Co-ops has recently been incorporated and in need of financial and technical assistance in the areas of local farm connection and coordination, marketing and promotion (advertising, website design, social media, etc. ), guidance in cooperative operations and Board development, and initial/upgraded equipment," said Mike Eisensmith, NMDC Director of Regional Planning. "These food co-ops, were formed to meet the needs of the local food system economy in addressing food insecurity and poor nutrition. The goal of the project is to strengthen local farmers' access to market opportunities through better connectivity to food co-ops serving residents located in areas of concentrated poverty." In 2013, APP identified diversified agriculture as an area of potential growth during the Mobilize Northern Maine asset based planning process. Through the initial work of the group, it became clear marketing help would benefit all small farming operations. The grant application is a result of work being done by the Aroostook Partnership for Progress (APP) Diversified Agriculture working group. APP President Bob Dorsey added, "Food co-op and food hub efforts are growing all across Maine and our two in the County are a great start that will hopefully lead to more demand for produce and products from local area small farmers as well as encourage others to come to the County and conduct profitable farming operations." "I absolutely believe diversified agriculture has significant potential," said Eisensmith. "At the same time it is not going to create 300 jobs all at once. This effort is about building momentum and impact a few jobs at a time; recognizing that the opportunity and land resources are present and that it offers real potential to grow the local economy. For more information on the effort, contact Michael Eisensmith at 498-8736 or by email at meisensmith@nmdc.org. Jon Prescott, President and CEO of Katahdin Trust Company, (far end of the table) gives the Aroostook Partnership for Progress Board of Directors an update on how the bank is growing regionally and statewide. HOULTON - There are numerous examples that the economy of Houlton is growing. That was the message Southern Aroostook Development Corporation Executive Director Jon McLaughlin had for the Aroostook Partnership for Progress (APP) board of directors at the group's monthly meeting held at Katahdin Trust Company's Operations Center in Houlton Friday, June 13. McLaughlin pointed to major capital investments to bring more CNC machines into Smith and Wesson, an expansion of up to 15 more employees at Fed Ex, a new County Coop & Farm store, retail stores being purchased by younger owners, the strong performance of the SW Collins company with expansion efforts into Lincoln and a recent influx of younger people returning to the region as signs of growth. "Whenever the board of directors meets in different parts of The County, we like to hear from people in those areas about investments, growth, trends, and even concerns," said APP President Bob Dorsey. At the start of the meeting, Jon Prescott, President and CEO of Katahdin Trust Co., outlined some of the positives his financial institution has experienced recently. He pointed to the opening of a branch in Fort Kent, which gives the bank countywide coverage. Prescott also stated that growth in the Bangor area is steady. As part of his overview of Katahdin Trust, Prescott highlighted a brand new internship program instituted this year. Three college students from Van Buren, Fort Fairfield and Houlton have been hired for the summer to explore career opportunities with Katahdin Trust. Prescott explained that the program gives students a sense of professionalism that supplements their work in the classroom and shows our younger population that they don't have to leave The County to use their degree. APP has been promoting internships and job shadowing as part of an ongoing "Education to Industry" campaign, which was also on the agenda for the meeting. 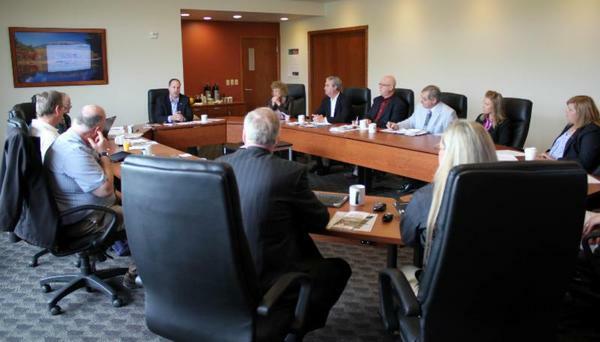 Dorsey updated the board on the second "Education to Industry" Summit planned for Aug. 7 at the University of Maine Presque Isle from 8 a.m. to noon. "Last year we set the stage - here's the sense of urgency, this year the theme will be more of a call to action," he said. "We want to show positive examples of programs in different schools which introduce students to business and industry in Aroostook County." Dorsey added that at the summit last summer attendance by business people was very good. This year he said a greater push is being made to attract more teachers, school officials and school board members to attend. The board also elected its officers for the next year. Larry Shaw, President MMG Insurance, is the new APP Board Chairman. Prescott will serve as Vice Chair and Kris Doody, CEO of Cary Medical Center, and Chris Anderson, President and CEO of FA Peabody, will serve as secretary and treasurer respectively. APP is a public/private partnership of more than 25 investors dedicated to aggressive and effective results-oriented economic development actions that leverage the financial commitments and talents of the private sector in close partnership with the public sector. FORT KENT - Workers who lost their jobs when Creative Apparel in Fort Kent closed its doors are in line for additional reemployment services. The Maine Department of Labor (MDOL) approved a Rapid Response Fund Application for $50,000 this week. "We have been working closely with our WIA Service Provider (ACAP) and representatives from MDOL since the layoff at Creative Apparel happened late last year, dislocating more than 75" said Ryan Pelletier, Director of Economic and Workforce Development at Northern Maine Development Commission (NMDC). "After meetings with the affected workers it was determined that several of the former employees were interested in some level of additional education and training services." 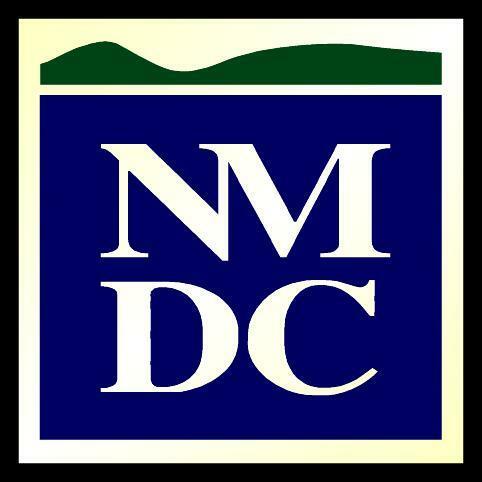 NMDC submitted an application under the State's new policy that allows local workforce areas to access dislocated worker funding through MDOL. "We are very pleased that this application for $50,000 has been approved to assist these workers gain new skills and educational opportunities," added Pelletier. Three different levels of services will be provided thanks to the funding. The first level is core services, which include career counseling, referrals to partner programs and vocational aptitude assessments. The second level consists of case management for people seeking training services and development of employment plans. The third level is training services, which include cooperative and employer based training, job readiness and entrepreneurial training and follow-up services. 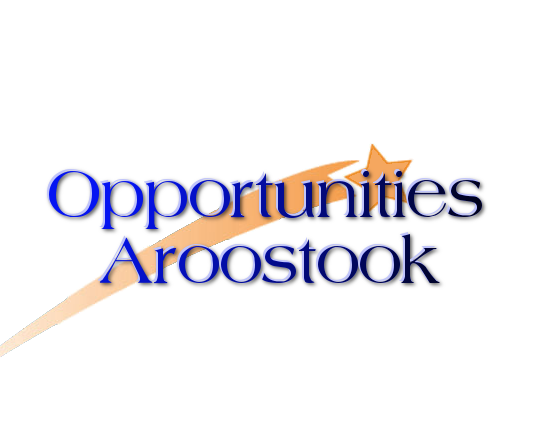 Opportunities Aroostook is an initiative of APP/LEAD to highlight job, social, recreational and other opportunities in The County. Click on the logo above to go to the facebook page.